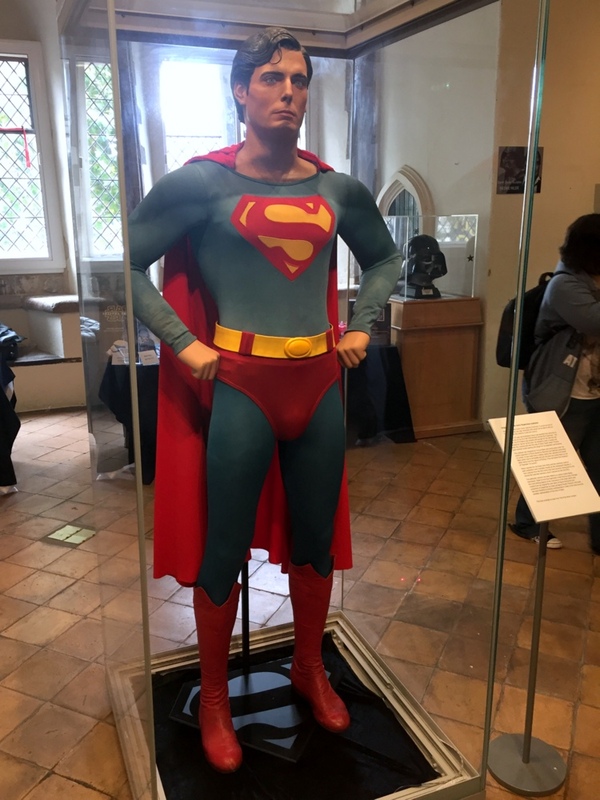 Taking its rightful place as the centrepiece in an exhibition charting a trio of cinematic Sci-Fi anniversaries, an original Superman costume stands proudly among selected screen used props currently showcased in Moyes’s Hall Museum UK. Celebrating its 8th Sci-Fi Action exhibition in acknowledgement of 30 years of the Alien franchise, 40 years since the camera’s rolled on the original Star Wars and 50 years of Star Trek, the West Suffolk site is currently housing over 100 items of memorabilia from these enduring saga’s and more. 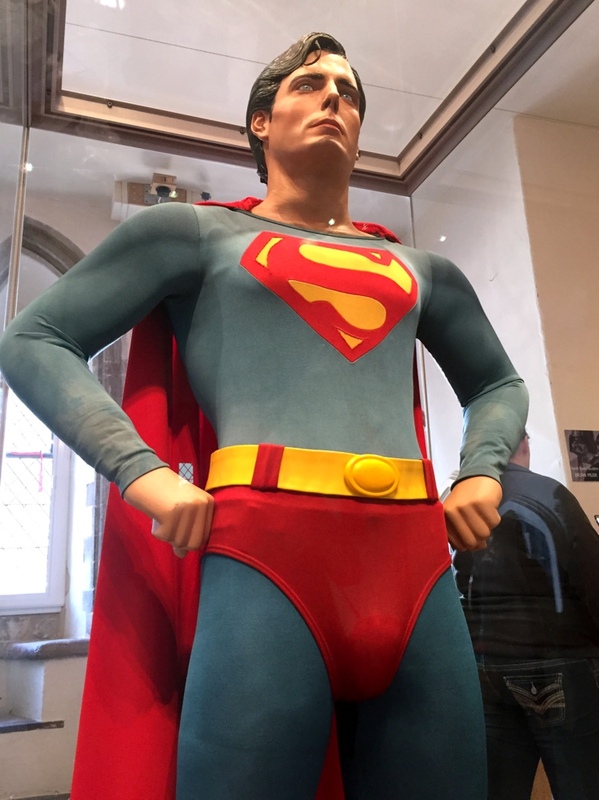 Described as ‘Perhaps the most iconic Movie costume of all time’ and on loan from Propstore, the Christopher Reeve Superman display has had somewhat of an upgrade since it was last seen in public at Covent Garden in 2012. 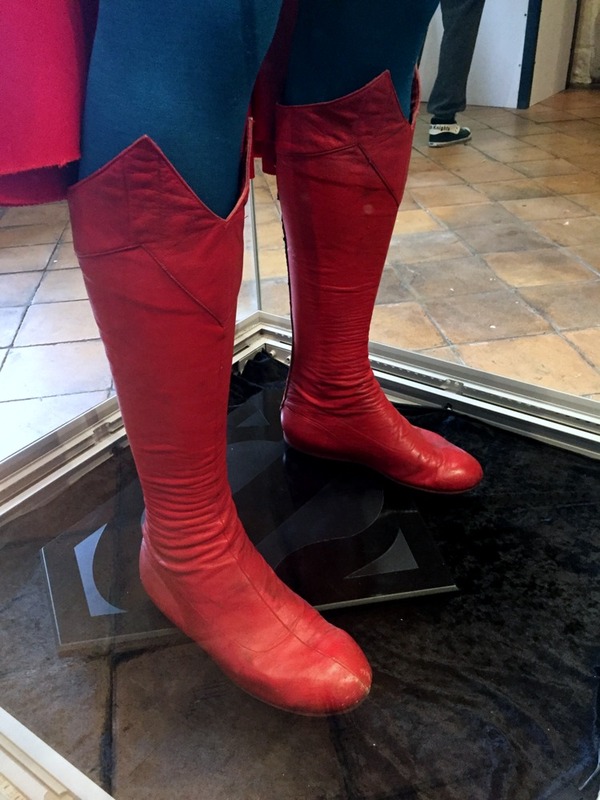 Although the costume remains the same combination of mis-matched tunic & tights last seen by SUPERMANIA on the Propstore tour, it has apparently been neatly re-mounted on the mannequin with a new \S/ shield base and the cape now sports its yellow patch – missing since the original display since its first appearance in 2010. Stephen Lane himself told me he had the shield in storage the whole time (which accounts for its clean appearance) but had yet to re-attach it – making this the very first time the costume has been displayed 100% complete. 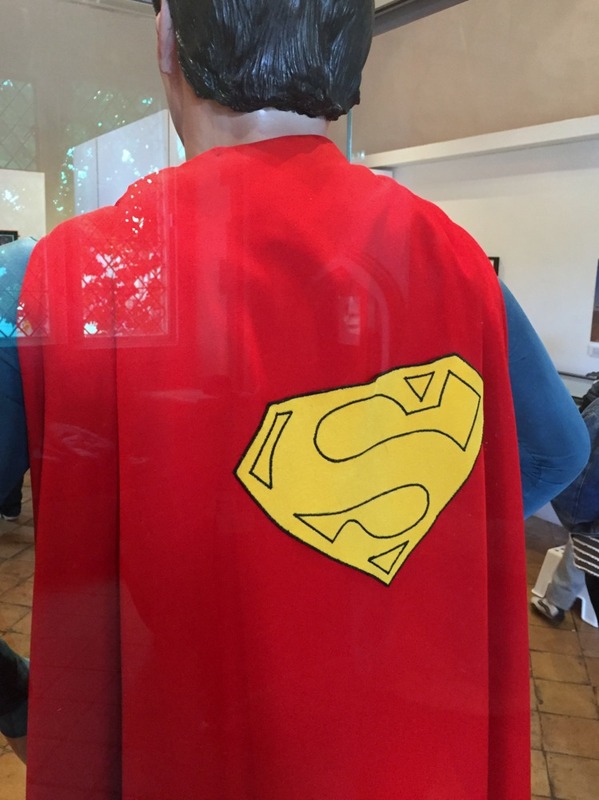 Sure enough it was true so the next day we drove to Bury to see the costume, when I walked in the room I couldn’t believe my eyes – it was a dream come true for me – a Superman and in particular a Christopher Reeve fan since the age of 8 (I’m now 41). There it stood in a glass case and to top it off it was standing proud on a Christopher Reeve mannequin. Although a little battered & bruised it looked amazing and to be up close to the real thing was overwhelming, the tunic was a little faded but for me that added to it, as the ‘S’ stood out vibrant in colour and proud. We were allowed to take as many pictures and video it as we liked which was brilliant, apart from seeing this iconic suit for me it affirmed the authenticity of my ‘Super Costumes’ replica as I have to say mine is pretty damn close to the original which makes me even more pleased with it. The exhibition runs until Sunday November 13th so be quick if you want to share the experience of seeing it for yourself – click on the tab in the right hand column for details and be sure to leave comments here about your visit..! Most iconic indeed. Great looking recreation with terrific likeness. Thanks Martin. What a treat.